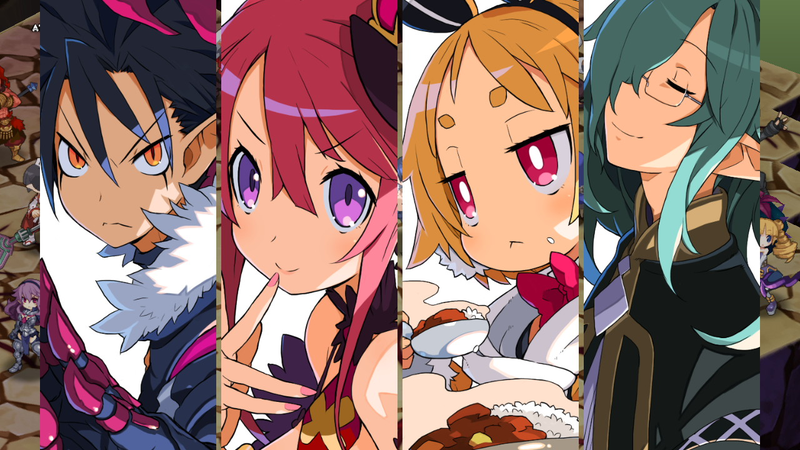 Disgaea 5, the latest in publisher Nippon Ichi Software anime tactics series, released on PS4 in 2015. Since then, NIS has been working to port it to other platforms, including Switch in 2017 and now, finally, PC. This version, called Disgaea 5: Complete, supposedly included all of the game’s downloadable content. It doesn’t on PC where it is missing all of the original’s online features. It was just the latest blunder in what had already been a tortured process. Disgaea 5’s network features can be very helpful in grinding through its endgame. Features such as the Strategy Assembly and Netherworld Edit Shop allowed players to share items with one another and also create their own levels to be invaded. Money Maps were especially helpful for grinding subclass and weapon mastery levels. While the Switch version of the game has these things, they were all removed for the PC version, with NIS only announcing that fact once the game was already out on October 22. “Due to irreconcilable platform differences, it was decided in the beginning of development for Disgaea 5 Complete that the Network functions from the original game could not be implemented into the Steam version,” the publisher said on its website. “We deeply apologize that these differences were not communicated in advance, and we appreciate your patience and understanding in this matter.” Though NIS reminded Steam users that they could request refunds for the game if they had played two hours or less, that didn’t stop a vocal minority of fans from posting negative reviews on the game’s Steam page. Money maps are player created levels that are efficient for grinding Disgaea 5's end-game. While there are plenty of positive reviews lauding NIS for bringing an otherwise great strategy JRPG to PC, there are several now criticizing the company for cutting the network features. Others were simply frustrated with how and when NIS chose to disclose that fact. “The missing content doesn’t bother me, but should have been upfront about it: the fact that its missing is really minor—no need to keep it hidden,” wrote one Steam user. It’s likely more people would have forgiven NIS for not being more transparent about the missing content if they didn’t already feel burned by how the company handled the game’s rollout on PC previously. NIS originally announced Disagaea 5’s PC version in April of this year, with a release date planned for May 7. Just a few days before that date, however, NIS ended up delaying the game indefinitely following feedback from a player beta and the release of a demo that appeared to be for the full game. Though NIS claimed it ended after chapter three, players reported being able to go beyond that point, which led the publisher to remove it entirely. Summer soon arrived though without any further news, with players who had pre-ordered the game wondering what they should do. On July 9 the company quietly told a fan frustrated with the lack of any news on Twitter that the game had been delayed again, this time until the fall. In August, to try and make amends, NIS refunded everyone who had pre-ordered the game, lowered the price from $50 to $40, and promised anyone who had originally pre-purchased the game and wanted to do so again the deluxe version at no extra cost. Throughout these months players scratched their heads over what the delays were about since they still believed an unlocked version of the original demo was making the rounds on piracy sites, making it possible for some to apparently already play the entire game on PC through illicit means. Even now, it’s still unclear what ended up causing all of the game’s delays and the silence on NIS’ part. The company did not immediately respond to a request for comment on the matter. It’s not the first time NIS has encountered trouble on PC, however. The company also brought Ys VIII: Lacriomosa of Dana to PC earlier this year after it was first delayed, and though it arrived in time to benefit from the game’s overhauled localization, it also suffered from a lot of bugs, which NIS apologized for at the time as well. While more and more Japanese game companies have been making Steam ports a priority lately, it hasn’t gone off without a hitch for everyone. Hopefully it will all go toward making the inevitable Disgaea 6 a smoother launch on PC.